seems hot sale season is coming! 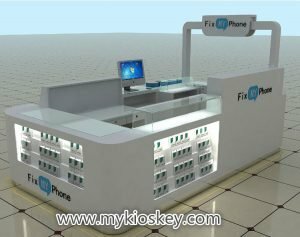 Recently many customers click our website asking for mobile phone repair kiosk.Myidea is a factory did customized mall kiosk,shop furnitures,every day has many mall kiosks are doing in our workshop.we provide design sevice,and good quality,many customers who did with us before will keep cooperate with us and even recommend us other customers. 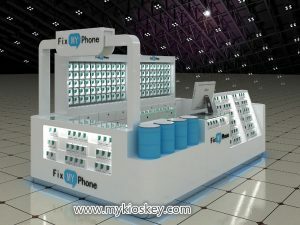 For mobile phone reapir kiosk we did many,have many nice styles,also cooperated many famous brands.Today I wanna share you a nice phone repair kiosk we designed and made for a Sweden famous brand:Fix my phone. 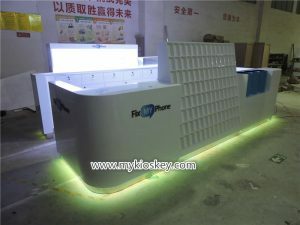 this mobile phone repair kiosk size is 4m by 2.5m,to match customer logo,whole used elegant white match light blue,looks very nice and elegant.because their business mainly fix phone and sell phone cases and accessories.So this kiosk inside are repair counter,outside are some display showcase for accessories..
(2) Material: MDF with white and blue baking paint. (3) Hardware: same lock with key, S.S handle. 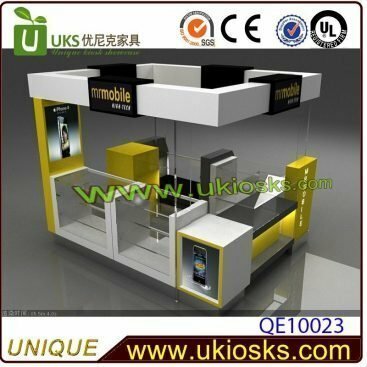 How can i build a mobile phone repair kiosk like this one ? 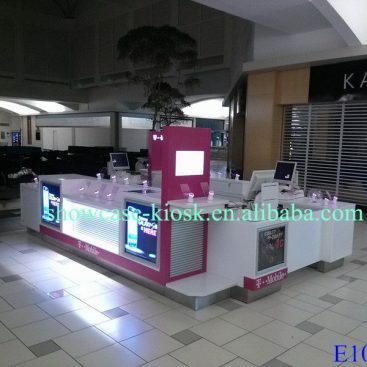 Get a shop lease in mall or landlord , Make sure there are enough customers in the busy area . 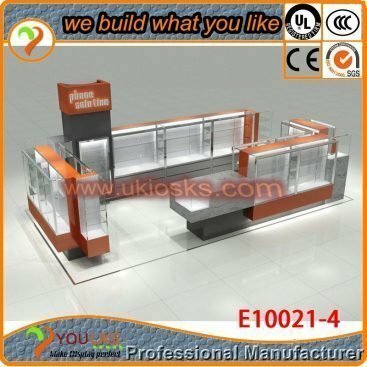 Contact us and share all of your ideas about this shop , such as style , tone , equipment list , if you no have more ideas , we also can help you suggestion . Make a 3d design for get approval . 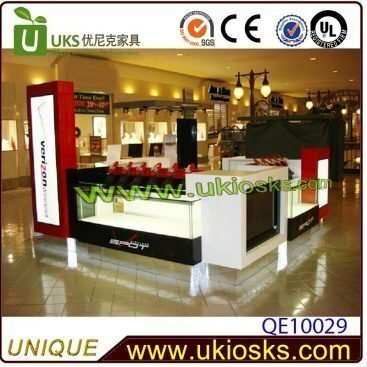 usually mall manager need see the whole shop 3d design and construction plan . we can help you do it first . if there have anything dislike , we also can help you modify it . Confirmed the design and drawings. start production and take photo update the progress . 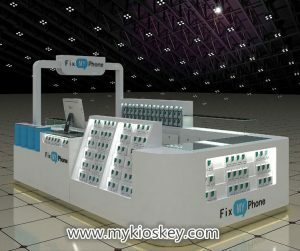 Take finish photo assemble and package it . 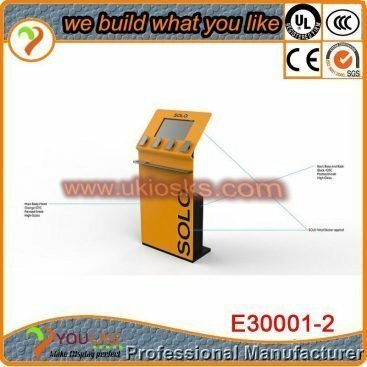 shipping it to you nearest port , if you need we also can direct send it to your address .